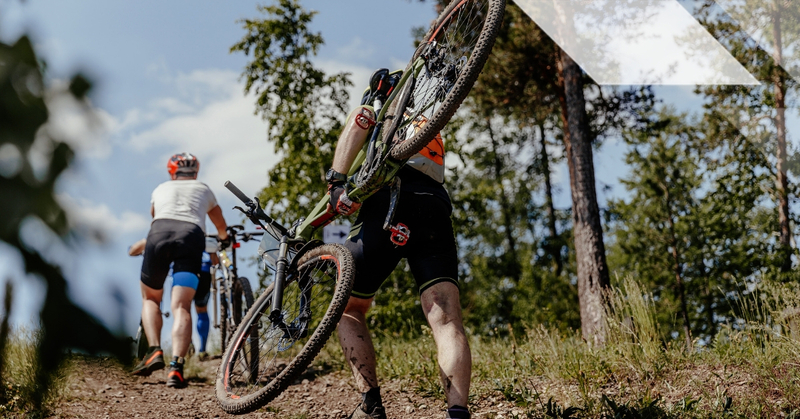 Similar to a cross-country triathlon, adventure races generally include trail running, mountain biking, and navigation, with longer events often including disciplines such as paddling, swimming, rafting, hiking, tubing, and even abseiling. Adventure racing encompasses multiple disciplines, challenging courses, teamwork, and usually navigation using a map and compass. This is different to multisport racing where there is a marked course and no navigation is required – more like a cross-country style triathlon with an extra leg such as kayaking included. Popularity of adventure racing has grown over recent years, with an increasing number of participants and events. Sprint: short one day races lasting less than 6 hours. Expedition-length races: > 36 hours; possibly involving cut offs along the course, mandatory stops and numerous changes in disciplines. Races will generally all include trail running, mountain biking, and navigation. Longer events tend to include more disciplines such as paddling, swimming, rafting, hiking, tubing, even abseiling and other forms of rope work. The overall aim of an adventure race is to cross the finish line after navigating through specific check points without incurring any penalties. Races can be undertaken individually or by teams of mixed gender consisting of three to five members. The team must stay together at all times. Extreme environmental conditions and challenging topography can both be features of adventure races. Nutrition plays a crucial role in the successful completion of adventure races, to ensure adequate energy intake and prevent dehydration, particularly in extreme temperatures. Typically, competitors must carry their own race nutrition and be self-sufficient throughout the race. 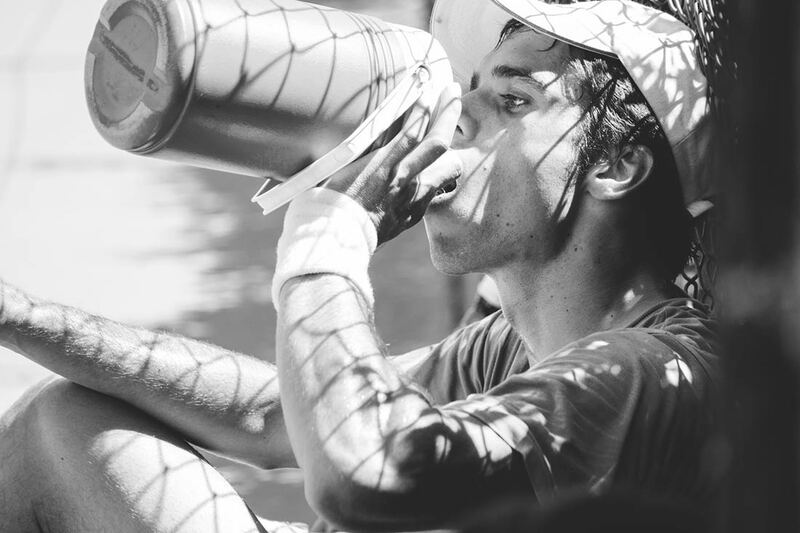 Adequate fuelling will not only sustain physical performance, but optimise concentration and mental stamina required for effective course navigation. The specific energy demands and optimal physiological requirements will vary for the different components of an adventure race. However as an ultra-endurance event against the clock, an athlete’s power-to-weight ratio, and energy efficiency may become a determining factor in their time to complete and a successful performance. Limited data exists on adventure racers, although typically a relatively low body mass and low body fat are considered optimal to be competitive. A high energy diet is often required to support the training and competition demands of adventure racers, though individual needs can be highly variable. Training load and body composition goals are two factors that may impact individual energy targets. A heavy training block for an ultra-endurance adventure racer results in very high daily energy expenditures. Adequate energy intake will support optimal performance and completion of demanding training volumes. 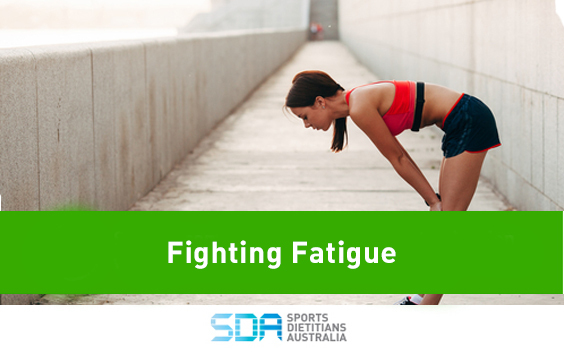 High energy requirements can be achieved with frequent meals, nutrient dense foods, adequate portion sizes and appropriate intake before, during and after training sessions. Carbohydrate requirements need to match the training demands of the day/week with a focus on nutrient rich and lower GI carbohydrate sources. Protein requirements are increased due to the higher protein needs for endurance exercise, with protein intake ideally being spread over the day. Including a variety of healthy fats in the diet (e.g. avocado, oily fish, olive oil, nuts, seeds) is important for health and immune function and overly fat-restrictive diets should be avoided. A variety of colourful vegetables and fruit daily will provide essential nutrients such as fibre, antioxidants, vitamins and minerals. Although a low carbohydrate high fat diet can influence fuel utilisation and increase fat oxidation during sub maximal sustained exercise, currently there is insufficient research to indicate a performance benefit from a high fat diet for endurance athletes. A periodised nutrition approach can optimise achieving and/or maintaining body composition goals and fuelling training needs accordingly. 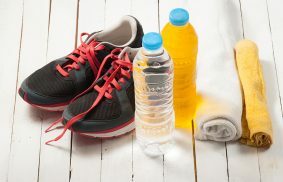 Fluid requirements vary between individuals largely depending on sweat rate, which can be influenced by intensity, fitness level, and weather conditions. An individual’s ability to tolerate fluid while training and competing is another important factor, though can improve with practise or ‘training the gut’. Athletes should aim to start training and races well hydrated and continue to optimise hydration throughout. For shorter training and event duration water is the best rehydration fluid. For training and competition over 2 hours, the use of electrolyte-drinks and/or sports drinks containing carbohydrate and electrolytes can be beneficial to optimise rehydration and sustain energy levels. If the race is of a shorter duration and higher intensity, it is generally more challenging to consume and/or tolerate fluids. Longer races at lower intensity however can favour adequate fluid consumption. 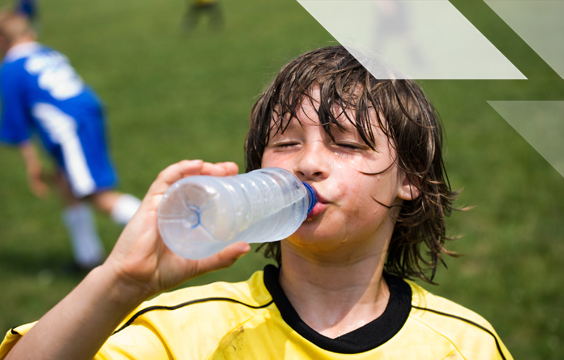 Dehydration can lead to fatigue, loss of concentration and impaired performance due to loss of power and intensity. Fluid should be prioritised as a component to an athlete’s nutrition. For longer duration adventure races, i.e. duration of 4 hours or more, carbohydrate loading for 1-3 days prior to race day can allow muscle glycogen stores to be maximised. In combination with reduced training, a carbohydrate intake of 7 – 12g/kg body weight per day (some lower fibre foods/fluids can help to achieve this) is a guide to requirements. An Accredited Sports Dietitian can provide a race nutrition plan that includes a tailored carb loading plan to reduce gastrointestinal upset while optimising fuel stores pre-event. The ideal pre-event meal will provide sufficient fuel and hydrate you without leaving you feeling uncomfortable. Timing is important to consider to allow for food to be digested and move out of the stomach prior to the race commencing. Suitable foods are usually low in fat and fibre (as these can slow down digestion) and high in carbohydrate to optimise blood glucose levels. You and your team members should experiment to find the routines that work best for your situation. Ensure that the meal is well planned and includes familiar foods and fluids. If nervous pre-event and/or appetite is low, carbohydrate-rich fluids can be an alternative, such as a low fat milk or fruit smoothie or a liquid meal replacement. A small snack such as fruit, or a muesli bar can be eaten about an hour prior to the race as a final effort to top up energy levels. Race day nutrition is key to successful adventure racing. It is important to trial race nutrition strategies in training and avoid anything new on race day. For races longer than 3 hours, performance can be improved with adequate carbohydrate intake during the event. The recommended range is 30-60g carbohydrate per hour. Between 60 – 90g/hour is possible, however the type of carbohydrate needs to be considered. A 2:1 ratio of glucose to fructose allows optimal absorption due to the use of multiple transporters and will reduce the risk of gut upset. Suitable fuel options need to be easy to eat and be relatively low in fat and fibre to avoid slower digestion time. Examples include muesli bars, white bread sandwiches flattened (e.g. vegemite/jam/honey), lollies, sports gels, bars, bananas, and fruit puree. Certain legs of adventure race will allow no or limited opportunities to fuel and/or hydrate, so this needs to be maximised when possible in other legs such as hiking or mountain biking. 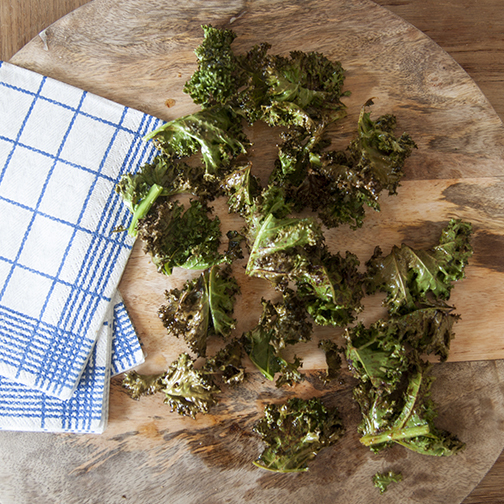 Recovery snacks can be convenient and more appealing if appetite is low immediately post-race. Flavoured milk, yoghurt, a sandwich/wrap including chicken/tuna/egg/cheese, baked beans, or a liquid meal supplement are all useful recovery options. A more substantial recovery meal may follow a few hours later. The total amount of energy expended in adventure races have been estimated to be as high as 2000 – 3000 kJ per hour so a refuelling focus for the following 24 – 48 hours post event is necessary. A common challenge for endurance athletes can be fuelling a high training load and managing performance-related body composition goals simultaneously. An Accredited Sports Dietitian can provide specialist advice tailored to individual requirements, dietary preferences, training load and goals. Go to Find a Sports Dietitian to search your area. Iron levels: Endurance athletes are at an increased risk of low iron levels, especially females and/or athletes with restricted dietary intakes. Iron levels should be checked regularly during heavy training or if fatigue levels are unusual. See our fact sheet on Iron Deficiency in Athletes and speak to a Sports Dietitian on increasing iron in your diet. Caffeine may be a performance supplement of potential benefit over very long adventure races, particularly where limited rest or sleep deprivation are factors. See the Caffeine factsheet, seek advice from a Sports Dietitian and be sure to trial in training. Hydration: How Much Should You Drink During Exercise?